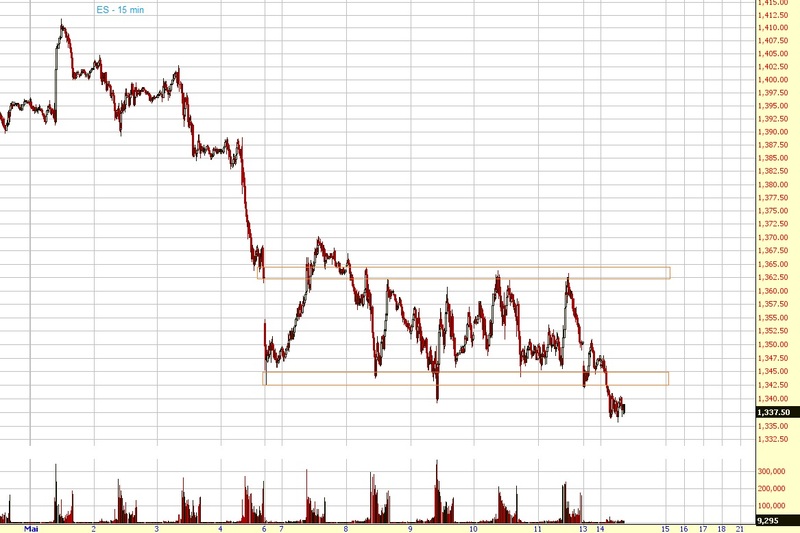 As you can see, the ES has been trading in a 20 handle range for about a week. This morning we're a few handles below this range but right at the strong support area at SPX 1340ish (1336-42) (~ = ES 1337). 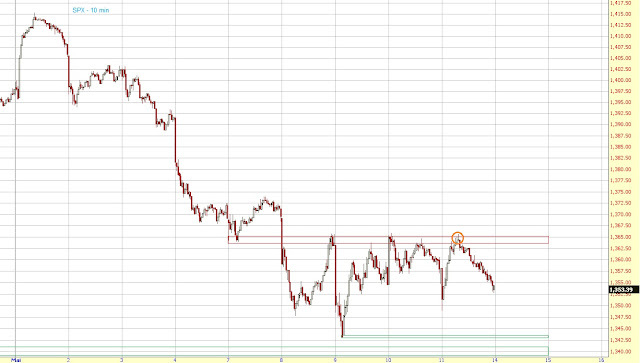 So if SPX 1340ish holds I think we could get back inside the range by the end of the day/tomorrow. If we break 1340 though then we should decline further (to 1320ish or so).